Even the decision to work her with strings like a puppet couldn’t draw a convincing performance from Madonna. Reader, I think we’ve known each other for long enough to be honest with each other. Hopefully you’ve come to understand my love of movie stats, my fondness for everything from Hitchcock to Haneke and my desire to see films shown in the best cinemas possible. So I hope that you won’t judge me too harshly when I make this candid admission: I saw Die Another Day twice at the cinema, and I didn’t think it was that bad. I know, I know, I was young, I was foolish, I should have known better. Certainly there were parts that stuck out at the time as not working, most of them involving Madonna Louise Ciccone, but I thought it was a fun romp in the grand tradition of previous Bonds. Two things can be said about my film watching habits at the time: I was still very much resolutely watching blockbusters (I visited Leicester’s premier art house cinema, the Phoenix Arts, once in the seven years I lived there – the period when DAD came out – and that to watch a Michael Moore film), and that I still felt Bond worked best as an escapist fantasy with outlandish gadgets, mainly through my love of the Roger Moore films. Ten years on, a lot’s changed, not least me. I don’t know if I have a completely refined palate now, but watching Die Another Day back in the context of my new appreciation for cinema, and after nineteen other, very varied Bond films, it’s clear that Die Another Day really isn’t much cop. Certainly, in keeping with the previous film there are some good and bad sequences, but the latter now significantly outnumber the former. It’s often said that the Bond series is more of a producer’s series than a director’s one, but Lee Tamahori brings a certain amount of visual style to the series’ 20th entry, most of it consisting of awkward editing and frustrating visual tricks. The well publicised reliance on CGI varies from middling to cringe-worthy, and whoever decided to leave the kite-surfing sequence in, rather than editing around it, frankly wants taking out and putting out of their misery with a Walther PPK. John Cleese just doesn’t work as Q (thankfully his only time in the role), and Halle Berry later managed the unfortunate distinction of becoming both an Oscar and a Razzie winner, and her performance here is nearer the latter than the former. If only the film had followed the tone set by the pre-credits sequence. Still Bond yearns to be darker, but again the EON machine only has the guts to go dark for a brief period, and even the first film of the post 9/11 era can only stay solemn for the length of a TV sitcom episode, before descending into the level of humour and camp theatrics of a bad TV sitcom. After Brosnan hit the heights of his portrayal in the last film, this feels again like Bond by the numbers: not necessarily his fault, as even the darker scenes leave him very little to get his teeth into, but the performance of Die Another Day and more behind the scenes legal wrangling leave Brosnan as having made approximately one and a half very good Bond films in his tenure. Despite that, Die Another Day has, for better and for worse, had an impact on the rest of the series. So Q, how do I get the car out of the secret tube station base? I did say, at the time of Live And Let Die, that I don’t have a problem with the invisible car. Not because it’s supposedly based on real military technology – a technology that only works at a distance of several miles – but that in a series that’s supposedly based on the same character being played by different actors, a fact confirmed by references to Bond’s past in earlier Brosnan films, a world where tarot and card reading is 100% successful and therefore real, and where a previously untrained astronaut can end up on a space station surrounded by hundreds of men in a giant fight with laser guns, a stealth car is not the most idiotic thing the series has ever done. But the two things that stick in the mind of any reasonable person about Brosnan’s last Bond film are that awful, awful theme song and the invisible car. The musical choices continued to be reasonably eclectic under the rest of David Arnold’s tenure, but the one thing that Die Another Day seemingly killed off for the foreseeable future (as even the gadgets in Skyfall seem to go no further than the kind of personalised gun that Dalton had twenty years ago) is those wonderful gadgets. No more jet packs and sofas that eat people for a while, it would seem. Back in the days of Sean Connery, Bond was knocking one off on an annual basis. Over the course of time, that gap widened as the demands of post-production increased, but the first three year gap in Brosnan’s tenure was designed for an entirely different purpose; to give the opportunity to show off bond in an anniversary year, in this case the 40th year since films began and the golden anniversary of the first novel. Consequently there are references to every single previous Bond film, laced through like the Easter bunny started taking crack and went a bit mad with the Easter eggs. Having not seen it yet, this is a little speculative, but I understand from reports that Skyfall also features a few nods to the past for the 50th / 60th anniversaries. Consequently, I would expect Bond films released in 2022, 2037, 2062 and 2962 to also draw heavily on their heritage. Feel free to check back in around ten / twenty-five / fifty / a lot of years to see if I was right. Even with a beard, nobody does it better. And to think poor old Lazenby got the boot for turning up at the première in a beard. How times change. 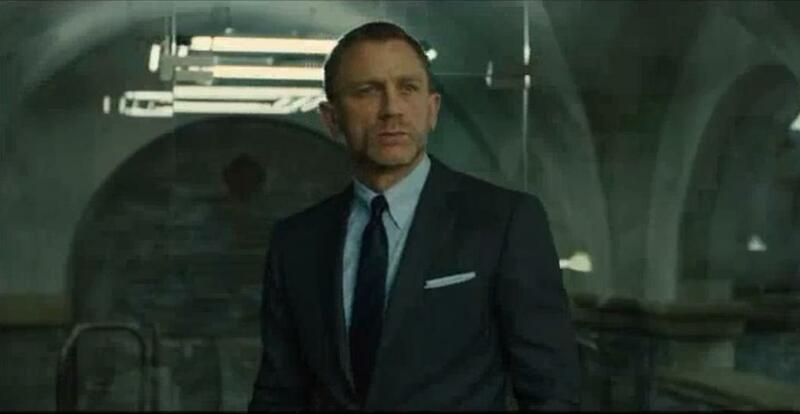 Next time: Bond goes back to his roots – but keeps the blond hair – in Casino Royale. 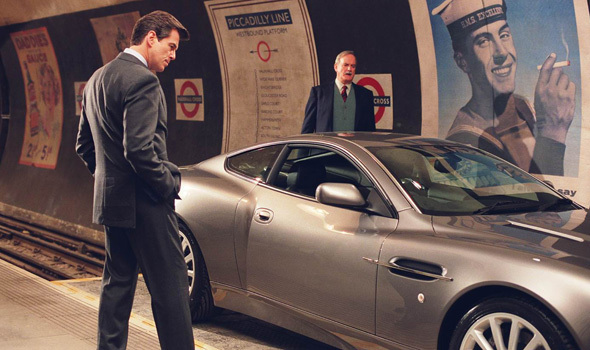 This entry was posted in Blogalongabond and tagged 2002, Blogalongabond, Bond Legacy, film, invisible car, James Bond, Madonna, movies, Pierce Brosnan. So now, an adventure into the land of hypocrisy, from where I am likely to emerge bruised and battered. For here I am, writing a blog whose primary function is to advocate that people go to cinemas to see movies, as that’s the best possible way to see them, talking about watching movies on a device with a screen that measures just 3.5 inches on the diagonal. Note to self, this better be good. 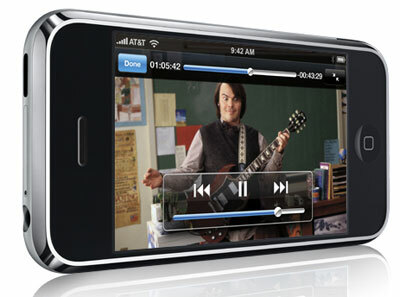 And it seems that the debate is raging as hard as it ever has over whether using a mobile is right for watching movies. Roger Ebert tweeted on the subject this very week, and then there’s some good blogs here and here arguing for both sides. So let me explain – I’m in the “it’s OK” camp, but that comes with a few heavy caveats. This entry was posted in Evangelism, Obsession and tagged iPhone, Madonna, Nokia, Roger Ebert, Romanian abortion drama, Star Trek.